Evapolar is a personal air cooler that allows you to create your own microclimate. 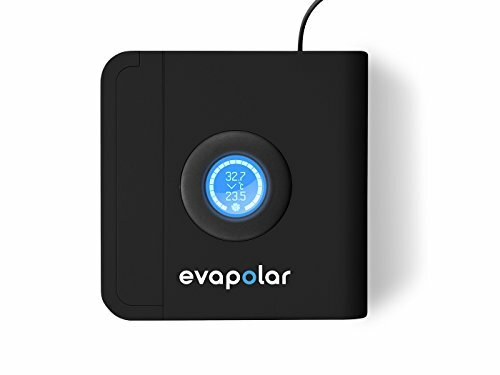 Evapolar is a 3 in 1 device: it cools, humidifies, and cleans the dust particles from the air making it healthier for you. It doesn't take much time or effort to install Evapolar – just pour water in the tank, plug it in and enjoy. This smart new solution for the cooling market provides a device that actually cools the air, using the size and power consumption of a small fan. People often can’t agree on the temperature of a regular wall AC and they have to share it with the whole office. Now you can have your personal cooling device - Evapolar. Regular central AC system is uselessly cooling the entire building, wasting your money, while you are sitting in one place. Evapolar is based on the natural water evaporation technology. It is the most efficient evaporative air cooler of this type. No other device is able to give that cooling performance in such a small size. Since Evapolar is an evaporative air cooler, it takes hot and dry air and makes it cool and moist. The performance of any evaporative air cooler depends on the temperature and relative humidity – to understand how Evapolar will perform in your conditions, see the temperature drop table image. Evapolar will work best in dry climates, but we don’t recommend using it when humidity is higher than 70% in your room.